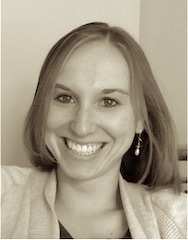 Elizabeth is a practicing Speech-Language Pathologist. She completed her Bachelor of Arts in Communication Sciences & Disorders at the University of Iowa and her Masters in Communication Sciences & Disorders at University of Wisconsin – Madison. She works today in acute & rehabilitative hospital settings in Madison, Wisconsin. She is a model clinician who is committed to her patients and helping them and their families restore their quality of life, and is interested in pursuing board-certification in swallowing disorders. Elizabeth has worked with the National Foundation of Swallowing Disorders in a number of capacities since 2014. Her work with the Foundation has impacted many of the programs and resources people know and respect the Foundation for, including patient outreach programs, the webinar series, website and social media administration, and a variety of public awareness & fundraising efforts. Elizabeth is excited to begin a new chapter as the Executive Director for the Foundation. She has devoted a lot of time and energy to the Foundation and is committed to the good work it does for patients and caregivers impacted by dysphagia.